Potatoes are one of my favorite vegetables. 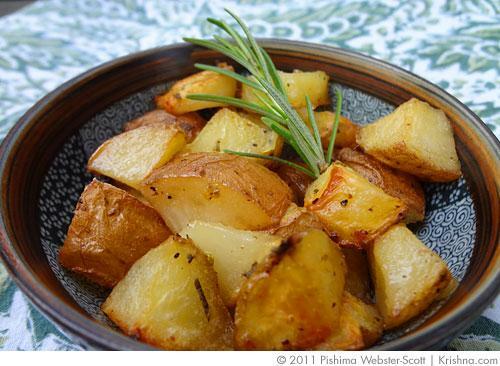 I know they are not the healthiest veg around but potatoes are just so darn delicious and also versatile. You can make French fries, chips, baked potatoes, roasted potatoes, scalloped potatoes, mashed potatoes, potato salad, potato soup, many subjis, potatoes au gratin, double stuffed potatoes and hash browns. My love for potatoes has made me also quite fond of Ekadasi, the day that comes once every two weeks where Vaishnavas fast from grains. Since grains are off the menu, I feel I can get away with slipping some extra potatoes into the day.